Here is a small selection of websites we have worked on for our clients. There are literally thousands of themes that can be used on your new website. Let us help get your website looking as awesome as these, just contact us today! 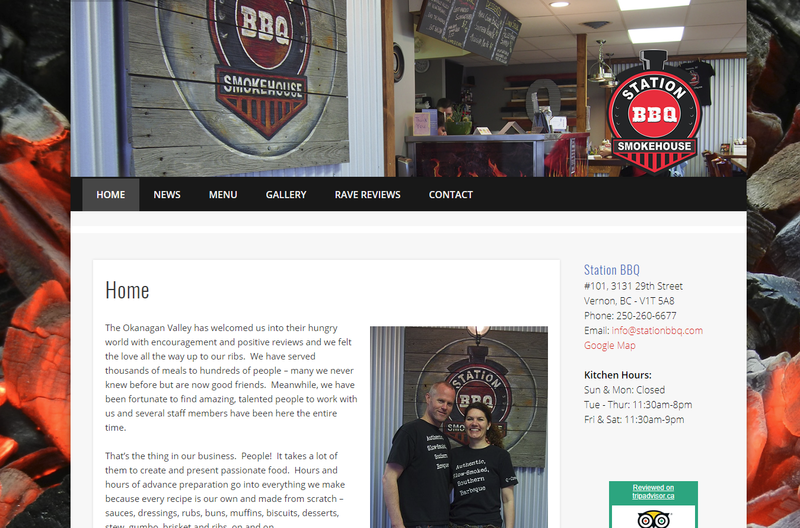 If you haven’t had the chance to head down to the Station BBQ, you are cheating yourself. Wow, the food here is awesome! Sooooooo good! We’re proud to have them as our clients and we can’t wait to head down there for our next meal! 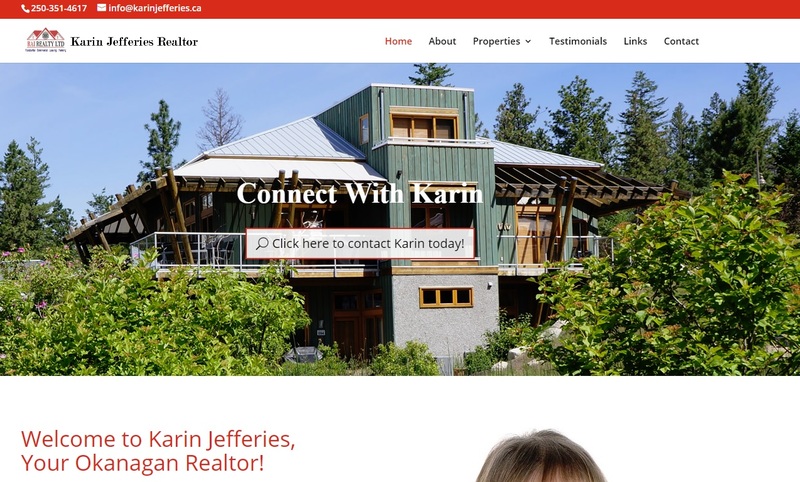 Karin contacted us for her new realty website and we were able to get her site up and going within a week, complete with listings from the MLS listings database, and some great eye catching features to help drive her realty business! One of Canada’s largest online mining supplies sites, this was a special project for us. 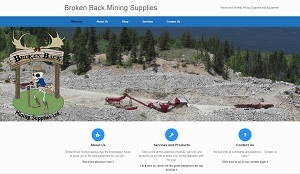 The guys at Broken Back Mining Supplies are now able to easily add any items they want to their online store and collect the orders as they come in to their site. Everything is automated including payments and shipping quotes. 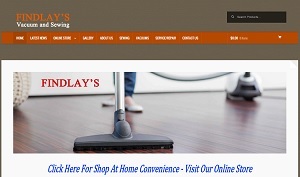 Findlay’s has been in Vernon for many years now and we are proud to be their host and designer for their website. We have just completed a whole new fresh website and online store. 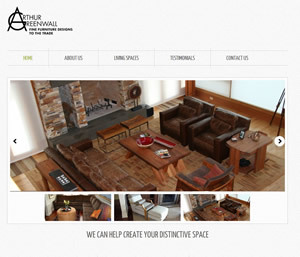 Arthur Greenwall was dealing with a website developer that was really charging way too much money for the service they provided, but also seemingly had an endless amount of extras that costed MORE on top of what they already paid. The website they had before was hard to work with and they wanted a new site that was simple to edit. We provided them with everything they needed for ONE price, and everything was included. We also helped them with their Google Search Engine optimizations and AdWords campaigns. 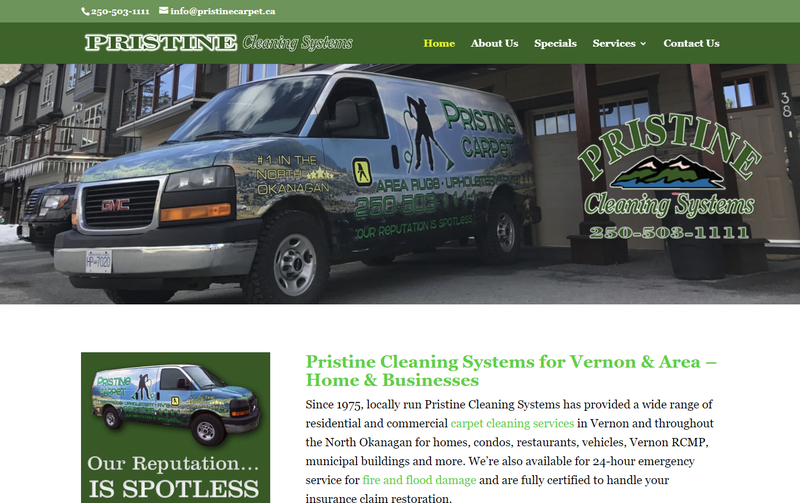 The great folks at Pristine were looking for a new website design and to move away from their past hosting company so we found a really great theme for their website and think it looks awesome! Brad and Jen had another designer help them with their site but didn’t really like how it turned out. 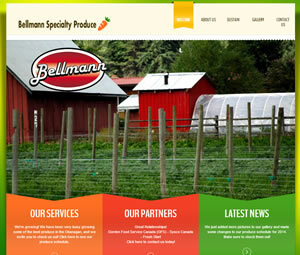 We used a great flash template and re-did their site to bring it to the present day look and feel. We also helped rescue them from a hosting provider that wasn’t treating them fairly. Looks great! Click on the website image to see their website. 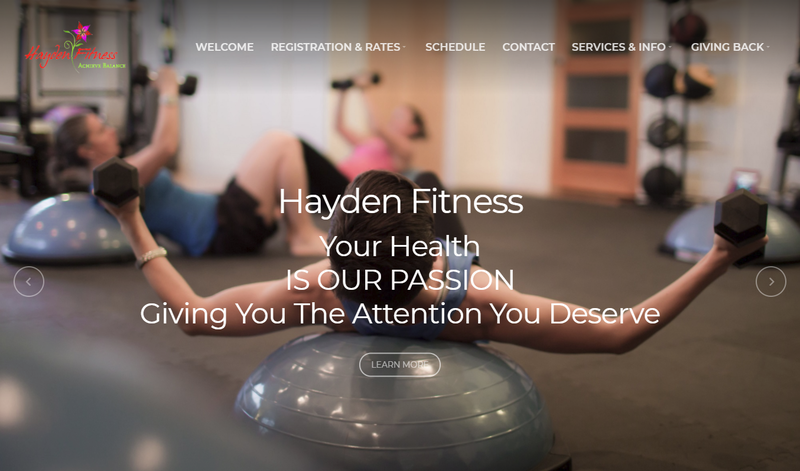 Hayden fitness wanted a website that they could update on an almost daily basis, and this wordpress site allows them to do just that. We also installed a couple great features like a gallery and an easy schedule organizer. 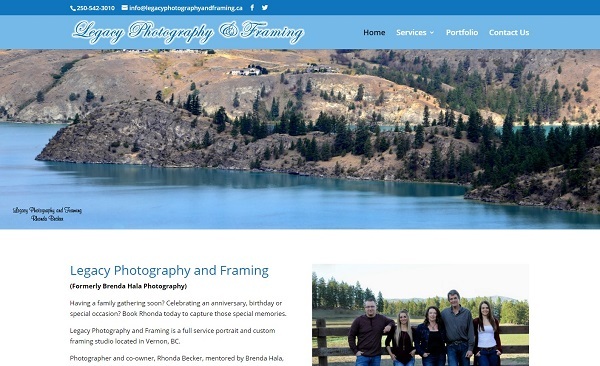 Legacy Photography and Custom Framing (Formerly Brenda Hala Photography) was looking for a fresh way to present their website and to get away from the phonebook company’s overpriced service, so we helped them move away and get a whole new awesome site set up. Welcome to Legacy Photography! 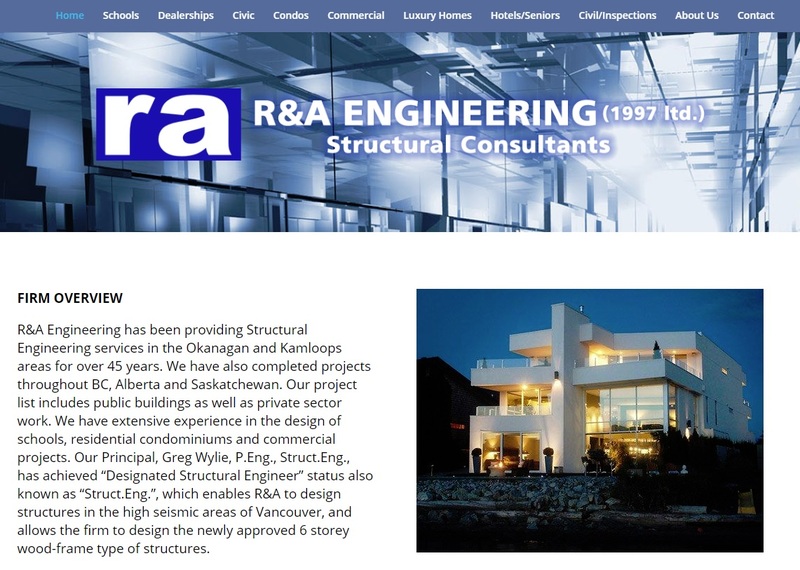 We are very proud to now have one of the best design and engineering firms in the BC Interior now hosting their wordpress designed website with us! We had done some edits to their older website, and when the time came for them to upgrade, they asked us to make a whole new website for them. Looks awesome! Club Shuswap was left high and dry by their old designer who disappeared and they had no access to their old website and their domain. We helped them move away from the old hosting and then completely redesigned their site to bring it to the present day. Looks awesome, and done in about a week. We’re very proud of this new site! Click on the website image to see their website.